Residents and business owners in Broomhill are invited to find out about roadworks that will be starting in the community in January. Sheffield Council contractor Streets Ahead has organised the roadshow at the Beacon Methodist Church on Tuesday December 16 fro, 5pm until 7pm. It aims to advise businesses and residents of the 2015 programme for works to main roads in the area, includingFulwood Road, Whitham Road Glossop Road, Westbourne Road, Clarkehouse Road, Newbould Road and Brocco Bank. The Broomhill Forum is encouraging people to attend and members fear many may not know that the roadshow is happening. Howard Fry, secretary of the forum, said the work would begin with the replacement of old street lights with new LED lights - a move that has proved controversial across the city in recent weeks because of delays and disruption. Work on footways will start in March and then carriagewa y works in August. Mr Fry added: “Some of this work could be disruptive and involve temporary road closures and diversions, though Amey insist that access to individual dwellings will be maintained and they are liaising closely with key ‘stakeholders’. “We don’t think too many trees are affected in this ‘zone’, as most are in gardens rather than on the road, but a few that are diseased or damaged will go on Clarkehouse Road and on Fulwood Road near Notre Dame school. 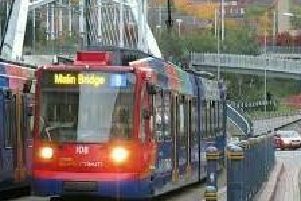 Other areas which are due to have the work start soon include Broomhill, the north side of the city centre and Chapeltown, Darnall and Ecclesfield. A roadshow for Beighton also takes place on Tuesday January 13 from 3.30pm-6pm at The Belfry pub car park, Eckington Road, Beighton. For more information on any of the Streets Ahead works, or upcoming roadshows that are being held, visit www.sheffield.gov.uk/roads online.